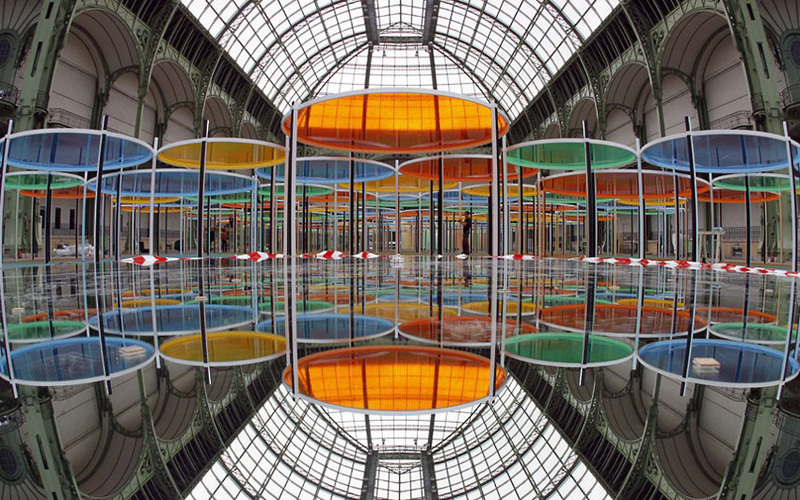 French artist Daniel Buren has unveiled his monumental installation Excentrique(s), Travail in situ, for this year’s Monumenta, the annual art project that’s in its fifth year and challenges an internationally known artist to ‘own’ the 145,000 square foot space of Paris’s Grand Palais. Buren, a minimalist, has filled the space with primary colored discs horizontally eight feet off the ground, except for the area underneath the nave which has 9 circular mirrors on the floor facing up. Utilizing the sunlight that shines through the space, Buren fills the Grand Palais with color and light that, apparently, is rather breathtaking. 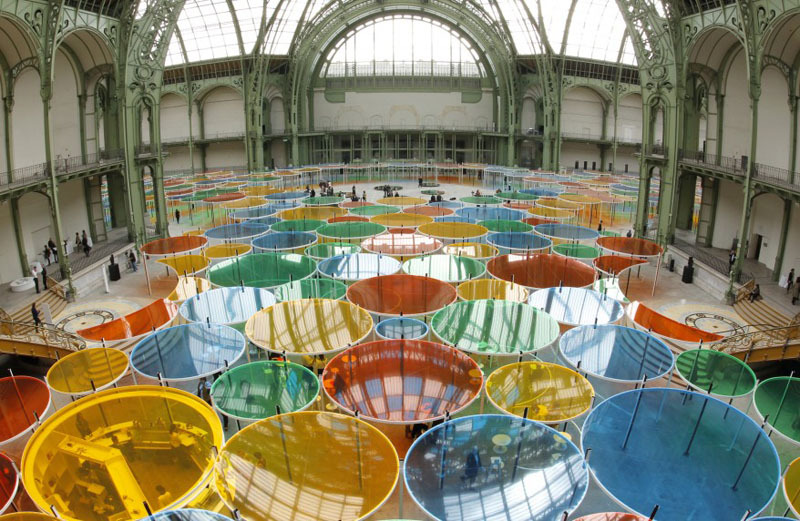 This would be so much fun to see in person…because of the installation and because it’s in Paris! Photos: Courtesy of Monumenta, Benoit Tessier/Reuters, Francois Guillot/AFP/GettyImages and Francois Mori/AP. This entry was posted in Architecture, Art, Event, Fun, Just Plain Cool, Light, Stuff We Like. Bookmark the permalink.